Ghosn was arrested in Tokyo on Monday. PARIS -- Nissan's investigation into alleged misconduct by Chairman Carlos Ghosn is expanding to include Renault-Nissan finances, sources told Reuters - in a further sign that Nissan may seek to loosen its French parent's hold on their global carmaking alliance. Nissan told Renault's board on Monday it had evidence of potential wrongdoing at Renault-Nissan BV, the Dutch venture overseeing alliance operations under Renault's ultimate control, three people with knowledge of the matter said. 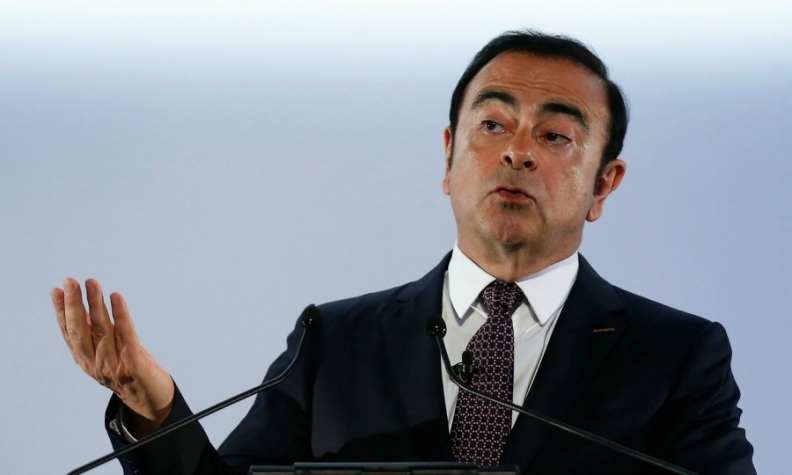 The private communication from Nissan CEO Hiroto Saikawa came as the Japanese automaker, 43.4 per cent-owned by Renault, announced that an investigation had uncovered misconduct involving Ghosn including under-reporting of his compensation and personal use of company assets. Saikawa, once Ghosn's protege, also announced plans to try and strip Ghosn of his chairmanship, after the 64-year-old industry veteran was arrested in Tokyo along with fellow director Greg Kelly. The 19-year history of the Renault-Nissan alliance, enlarged in 2016 year to include Mitsubishi Motors, has been marked by tensions among the automakers and the French government, Renault's main shareholder with a 15 per cent stake. Under government pressure, Ghosn, who is also Renault chairman and CEO, had agreed this year to explore a closer tie-up that would tap deeper synergies, safeguard French industrial interests and make the alliance "irreversible." The plan raised hackles in Tokyo. Nissan, while almost 60 per cent bigger than Renault by sales, remains the junior partner in their shareholding hierarchy with a smaller reciprocal 15 per cent non-voting stake in Renault. The Nissan CEO nevertheless took aim at a Renault-led alliance setup that "concentrates power in one individual," and said a new board committee would examine its role in the scandal. "In terms of structural issues, 43 per cent is held by Renault and the head of Renault is currently serving as (chairman) of Nissan," Saikawa said. "Of course, this isn't the only cause, but it's one of the factors or drivers. So, the committee ... will have a deep dive on this issue as well."